In an unprecedented move for Google, Android P's latest beta will be available on eleven devices. The registration just went live not too long ago, but it's not limited to just the Pixels this time. No, dear reader, Google is offering the beta to devices from other manufacturers. The list of supported phones is as follows: Google Pixel/XL, Google Pixel 2/XL, OnePlus 6, Essential PH-1, Xiaomi Mi Mix 2S, Sony Xperia XZ2, Nokia 7 Plus, Oppo R15 Pro, and Vivo X21/UD. I was shocked when I saw this list, though I missed the 6 after OnePlus and immediately jumped to get my 5T signed up, only to face disappointment. Some of the manufacturers already have pages up, though some of them are just placeholders. 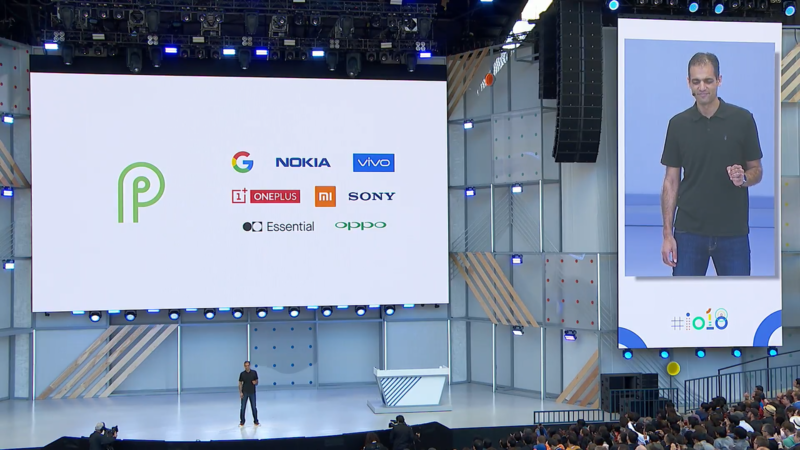 Still, you can check out Essential's, Nokia's, Xiaomi's, Sony's, Vivo's, and Oppo's. The interesting thing about this is that we might see some of these phones get the official P update even sooner than usual. Despite their strengths, Essential and OnePlus can take a little while to get the latest OS version out to their devices, not to mention how long it can take Xiaomi to push updates. On a side note, we're told that Project Treble also helps immensely with speeding up this process. Anyone with these devices can sign up at the P beta registration link here. It should come as no surprise to you that most of us here at AP have already gotten started with it.